Visit the Frankie & Bennys customer feedback official website. 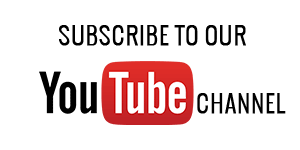 Enter the invitation code from your receipt and click the "Take Part" button. Frankie & Bennys offers breakfast, lunch, specials menu, main, lighter options, kids & junior's menu, and desserts. All of their breakfasts are £5 each and are available every day until midday. And you can add unlimited tea or coffee for an additional £1.50 per person. Lunch is available from Monday to Friday, 11am until 5pm. Their great value lunch menu has over 25 main courses at just £5.95 for 1 course, £8.25 for 2 courses or £9.25 for 3 courses - including unlimited refills of Coca-Cola, Diet Coke, Schweppes Lemonade or Fanta when you buy a regular drink for an additional £2.45. Offers are available online all the time. You can join F&B VIP club. Once you become a member, you'll be the first to receive F&B offers and events. Frankie & Benny's has more than just the online survey. Take the F&B music experience home with CDs, choose a menu online, experience what is going on with Frankie & Benny's and use the Frankie & Benny's restaurant locator to find a restaurant near you. 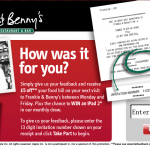 Frankie & Bennys values your participation at www.FabFeedback.com. Superb. Only word I can use...My wife and I had the two course meal this lunchtime...Both starters were spot on...And the Pizza base was the BEST we have ever had.. And we have eaten everywhere...Lovely dough, and the taste on top was top class. Superb, like I said. We enjoyed a great meal at Frankie and Benny's, Cambridge. Staff very friendly, and nice outside area to have a drink and enjoy the music. Will be visiting again. Enjoyed our first meal at F&B new Eldon square restaurant Newcastle,food wine great,staff very friendly especially Rachel who served us.will certainly visit again. Enjoyed a 2 course meal from the Midweek Menu. The food quality was good, it was served hot by friendly staff. We had a large glass of wine and a pint of beer - both good. The seating was comfortable and the area clean. It was our first visit to Frankie and Bennys, but we will certainly visit again. Completed the survey a week ago but no voucher received. first visit to frankie and benny's for ages, hope it's my last. Charged £10.70 for 1x330ml., sugar free irn- bru. ((£3.00) plus one regular diet pepsi. (£2.75) plus one garlic bread. (£4.95) probably thinnest ever made. Wont be back. Should change their name to Bonny and Clyde. Food wasn't that good either and overpriced. Staff very friendly though. Kilmarnock restaurant. Great service and the food was great. We had a great lunch which was promptly served by a very nice young lady. The food was great and we hope to return very soon. Extremely helpful, food was delicious and service was quick. Had an enjoyable evening. Food was excellent, and the service was very professional. Waiting on staff were very courteous. Well done Frankie and Bennies. My daughter and I enjoyed a fantastic Friday girls's night out with super attention, friendliness and nothing too much trouble from the lovely Jade and another great chat with the incredibly positive and personable Vicky. They made our night enjoyable and memorable. The food wasn't too bad either!! Great experience at F & B Nottingham, just like all the other F & B we have visited, keep up the good work, see you again soon. Have been to Frankie and Benny's numerous times. We have always had excellent service, great food and all been happy and very full , whichever restaurant we visit. On the one occasion we had to wait a while because it was so busy our waitress was extremely apologetic. My family love the place and we all have our favourite dishes!! Thank you and we will see you soon. Visited Frankie and Benny in Carmarthen. Had a great meal with excellent service. Hi there, we went to F&B this Sunday morning for breakfast and were totally surprised at the speed of the service, the quality of the food and the actual cost. There were three adults, one 4 year old and a baby and we were treated like royalty, nothing was too good for our server Anthony and the food was delicious. This was my first time at the Harlow restaurant but it definitely won't be the last. Hi Just come back from having a meal an F/B KINGSTON CENTRE MILTON KEYNES..., great food , great service from Lawrence...who was super efficient...during a very busy time,,young girl front of house also very helpful...100% pleased. 1. We have had great meals and service at the Haverhill outlet of Franky and Benny's. 2. Find the website where we can claim entry to the competition on our meal receipt most frustrating to use. GAVE UP trying to use ! 3. WE will not pay tips for service on our credit card. Prefer to give a tip straight to waiter/waitress who served us. 4. WE will attend the restaurant on future occasions. The staff at our Hereford restaurant are always helpful and polite, one of the reasons why we keep going back. Went to F&B for breakfast at Trentham Gardens on 20/10/15. Nice meal with excellent service. Filled in on line survey at fab.feedback with chance to win ipad and get a £10 voucher off next meal. No voucher sent and when I tried to enter invitation again was told "code already used"
Enjoyed our meal and not far to go to the Victoria Palace where we were seeing a show.Many thanks. Good food and service as usual but please what's happened to the Salmon fischcakes ? They're not on the menu anymore which is a major disaster. Please bring them back before its too late ! Probably the best burger (your Classico Burger) that I have enjoyed for a very long time, but we were disappointed with the Waffle dessert which turned out to be so hard, it was well nigh inedible. I would like to say that the service ant the food was excellent very welcoming and very helpful as my wife is disable and in and a chair. friendly staff at all time lovely atmosphere and great music. WE will definitely be coming again and bring more in the family next time. good value. nicely cooked food, friendly service.